1)Mohr, U. p. 33. 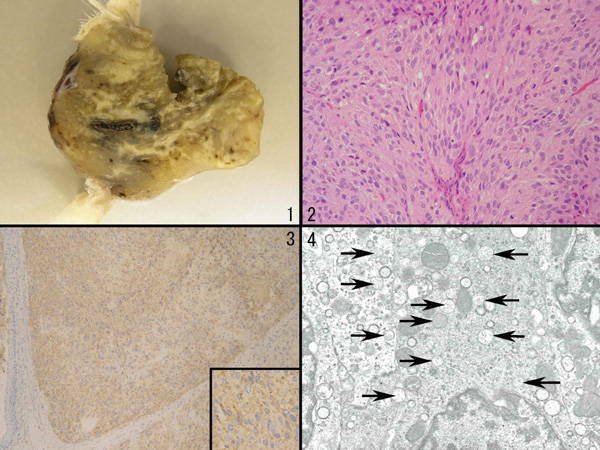 In: International classification of rodent tumours. Part I: The Rat. 7. Central Nervous System; Heart; Eye; Mesothelium. International Agency for Research on Cancer. Lyon, France. (1994). 2)Rochaix, P. et al., Mod. Pathol., 16: 481-490 (2003).